SAN DIEGO (AP) — A Democratic newcomer who challenged indicted California Republican Rep. Duncan Hunter last year will run again for the seat in 2020. Former Obama White House aide Ammar Campa-Najjar said Monday that he hopes to build off the success of his 2018 run for Congress. He said that California's House District 50 deserves a full-time representative. SAN DIEGO (AP) — A judge on Monday scheduled a Sept. 10 trial date for U.S. Rep. Duncan Hunter and his wife on corruption charges, slightly more than a year after their indictments. SAN DIEGO (AP) — California Republican Rep. Duncan Hunter, who won re-election while facing federal corruption charges, promised constituents Wednesday it will be "business-as-usual" in his deeply red Southern California district, but some wonder whether that will be possible. LOS ANGELES (AP) — Democrat Mike Levin on Wednesday captured the Southern California U.S. House seat held for years by retiring Republican Rep. Darrell Issa, while GOP Rep. Steve Knight conceded his Los Angeles-area seat to a Democratic newcomer, 31-year-old Katie Hill. SAN DIEGO (AP) — California Republican Rep. Duncan Hunter won a sixth term Wednesday despite facing federal corruption charges involving the personal spending of campaign money. LOS ANGELES (AP) — California Republican Rep. Duncan Hunter has won a sixth term despite facing federal corruption charges. Hunter beat first-time Democratic candidate Ammar Campa-Najjar on Wednesday in a deeply red San Diego-area district. With 69 percent of the votes counted, the GOP incumbent had an 8-point lead over Campa-Najjar. California Republican Rep. Duncan Hunter wins sixth term despite corruption charges. LOS ANGELES (AP) — California Republican Rep. Duncan Hunter wins sixth term despite corruption charges. SAN DIEGO (AP) — Embattled Rep. Duncan Hunter held an 8-point lead Wednesday in a race that tested the strength of partisanship as the GOP incumbent tried to overcome the stigma of facing federal corruption charges. Hunter had 54 percent of the vote over Democratic newcomer Ammar Campa-Najjar with nearly than 120,000 votes counted - and thousands remaining - in the deeply red San Diego-area district. SAN DIEGO (AP) — Republican Rep. Duncan Hunter is stepping up efforts to convince voters his Democratic opponent is a security threat because of his family's background — something the Latino, Arab-American contender forcefully rejects as a desperate attempt by an indicted incumbent. RAMONA, Calif. (AP) — In Southern California's most Republican congressional district a GOP incumbent running against a first-time Democratic candidate should be a slam dunk for re-election. SAN DIEGO (AP) — The Democratic opponent of California's Republican Rep. Duncan Hunter released a new TV ad Monday aimed at conservative voters in a deeply red district as the indicted congressman made his last court appearance before midterm elections. The narrator of the 30-second spot by Ammar Campa-Najjar's campaign says the Democrat will put "country over party." It contends Hunter blamed his wife for spending donor money on family vacations and "drunken parties." SAN DIEGO (AP) — Republican U.S. Rep. Duncan Hunter of California will likely go to trial on corruption charges after Election Day, with all sides agreeing Tuesday to allow more time to review the prosecution's evidence. President Donald Trump's attack on his own Justice Department for pursuing cases against two GOP congressmen is drawing fire from his fellow Republicans. Arizona Sen. Jeff Flake says Trump's criticism of the agency for jeopardizing the two lawmakers' seats exceeds what previous presidents have said. He said Tuesday, "We can't normalize that." SAN DIEGO (AP) — U.S. Rep. Duncan Hunter was swarmed by demonstrators yelling "shame on you!" as he left a federal courthouse Thursday in San Diego after pleading not guilty to charges of illegally using his campaign account for personal expenses. 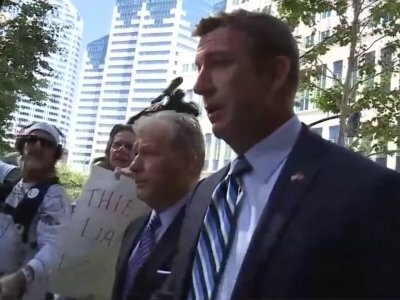 U.S. Rep. Duncan Hunter and his wife Margaret have pleaded not guilty in San Diego to charges they illegally used his campaign account for personal expenses. The California Republican and his wife entered their pleas Thursday morning in federal court. Prosecutors said bond could be set low because the Hunters are living paycheck to paycheck. U.S. Rep. Duncan Hunter of California says he's innocent of federal corruption charges and excited to go to trial. House Speaker Paul Ryan says Rep. Duncan Hunter will be removed from his committee assignments after being indicted on charges alleging he misused more than $250,000 in campaign funds. Ryan says in a statement Tuesday the charges against Hunter, a Republican, are "deeply serious." Anarchist rampage in Berkeley renews free speech debate. 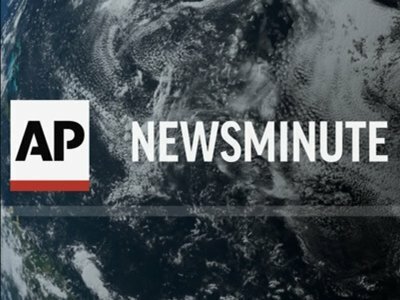 WASHINGTON (AP) — Abandoning negotiations, President Donald Trump demanded a make-or-break vote on health care legislation in the House, threatening to leave "Obamacare" in place and move on to other issues if Friday's vote fails. WASHINGTON (AP) — The Justice Department is investigating California Republican Rep. Duncan Hunter for possible campaign finance violations, an allegation the lawmaker dismisses as inadvertent mistakes. Democratic Rep. William Lacy Clay plans to return a painting to its Capitol Hill display after a colleague took offense and removed it because it shows a pig in a police uniform aiming a gun at African-American protesters. WASHINGTON — Here we go, down the rabbit hole. Donald Trump won the presidency by feeding Americans a diet of falsehoods and fake news, and, when challenged, he lashed out: shouting down the opposition, bullying the accuser and, particularly, blaming the media. WASHINGTON (AP) — A Republican lawmaker removed a high school student's painting from a Capitol Hill display Friday because it shows a pig in a police uniform aiming a gun at African-American protesters. The image was inspired by the shooting and protests in Ferguson, Missouri. WASHINGTON (AP) — The House Ethics Committee said Thursday it is continuing an investigation into possible ethics violations by Rep. Duncan Hunter, R-Calif., following an inquiry launched by the independent Office of Congressional Ethics. SAN DIEGO (AP) — A congressman from Southern California took out a home loan to repay his campaign nearly $49,000 for personal expenses that included online video games, a stay at Hawaii resort and his children's private school tuition. The San Diego Union-Tribune reports Rep. Duncan Hunter, a Republican representing inland San Diego and Riverside counties, secured a third loan on their home in Alpine on Wednesday to repay expenses that he said were erroneously charged to his campaign.